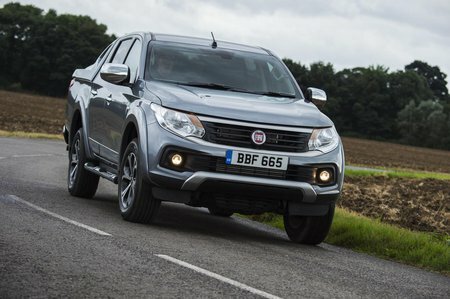 Fiat Fullback Performance, Engine, Ride, Handling | What Car? If you’re considering buying this or any pickup truck instead of an SUV, it’s worth remembering what they’re designed to do. 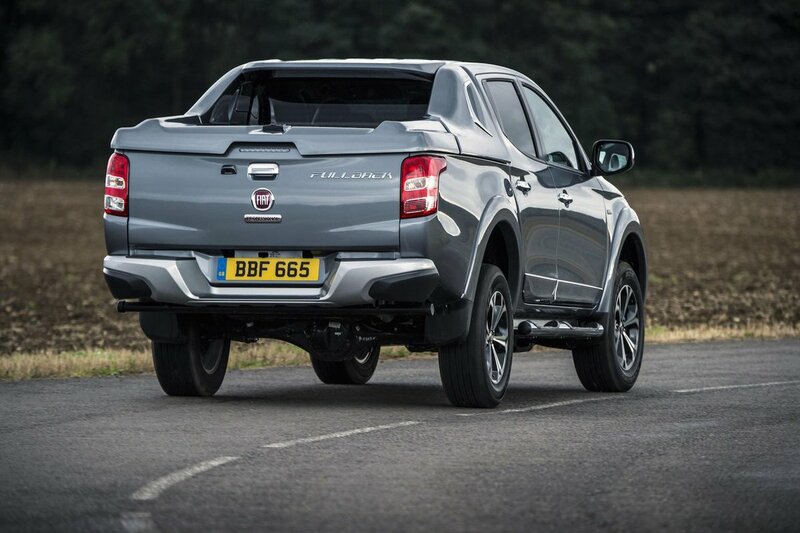 To be able to cope with more than a tonne in its load bay area, tow more than three tonnes and deal with severe off-roading, it has an old-school separate chassis, heavy-duty rear springs and lots of ground clearance. The Fullback’s rugged nature becomes apparent as soon as you start the engine. The motor fires with a shudder and settles down to a coarse idle that leaves you in no doubt which fuel pump it sips from. It sounds clattery under hard acceleration, but settles down to a relatively quiet cruise. Two power outputs are available from the 2.4-litre diesel: 148bhp and 178bhp. The lower-powered model is manual gearbox only, with the other variant getting a choice of manual or auto ’box. The 148bhp version is fairly sluggish, so we’d be tempted to upgrade if you plan on towing or carrying big loads. The manual gearbox is long of throw but is more precise than some of the competition. The auto feels very old-school, slurring between shifts and hurting performance considerably. The steering is a pleasant surprise, offering good weighting and more precision than many rivals. Even so, you won’t be mistaking this for a more modern SUV once you’ve turned in to a corner. There’s more body lean and much less grip because of tyres that need to cope with off-roading. The rear wheels have a habit of bouncing over bumps if the cargo area is empty and light, hurting comfort on all but the smoothest of roads. It’s better than the likes of the Isuzu D-Max, but isn’t as good as a Nissan Navara or Volkswagen Amarok. The ride will improve with a weighty load on board, but who wants to drive everywhere with half a tonne of bricks in the back? Well, apart from a bricklayer, of course. Take it off road and those chunky tyres, four-wheel-drive system and high ground clearance help make light work of things. If you’re seriously intent on going mud-plugging, the range-topping Fullback Cross also gets a locking rear differential that should haul you out of all but the stickiest of situations. It’s impressive, but rather over the top if the most off-road you’re likely to go is parking on the curb outside your local corner shop. Overall, then, the Fullback is by no means bad for a pickup, but feels decidedly agricultural when compared with a road-biased SUV.